Meagan Murray has new derby horses for the 2016 season to top her 2013 placing in the USHJA International Derby Finals. 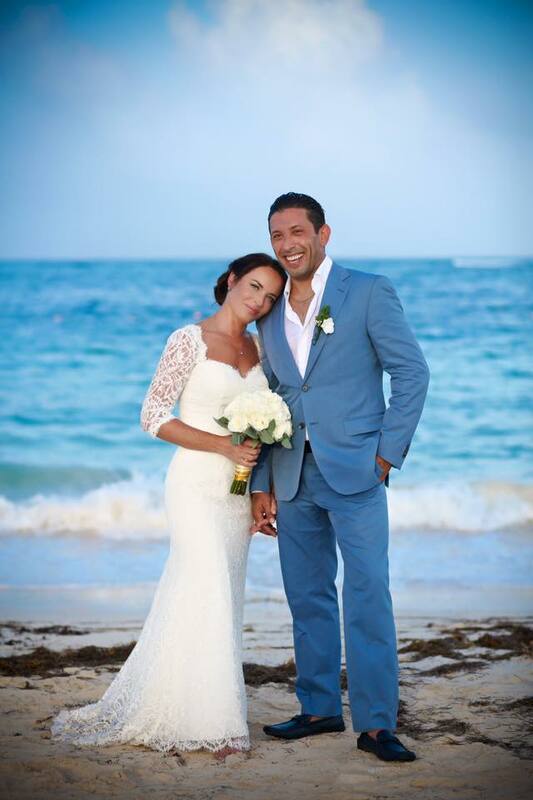 Photo Shawn McMillen. Horses are definitely not new to Murray, who has been riding since the age of 5. She won a coveted prize in the 2013 USHJA International Hunter Derby Finals in Lexington, KY finishing 10th overall in the Tier II section and 16th overall in the derby aboard Jenna Selati’s Fidelia. 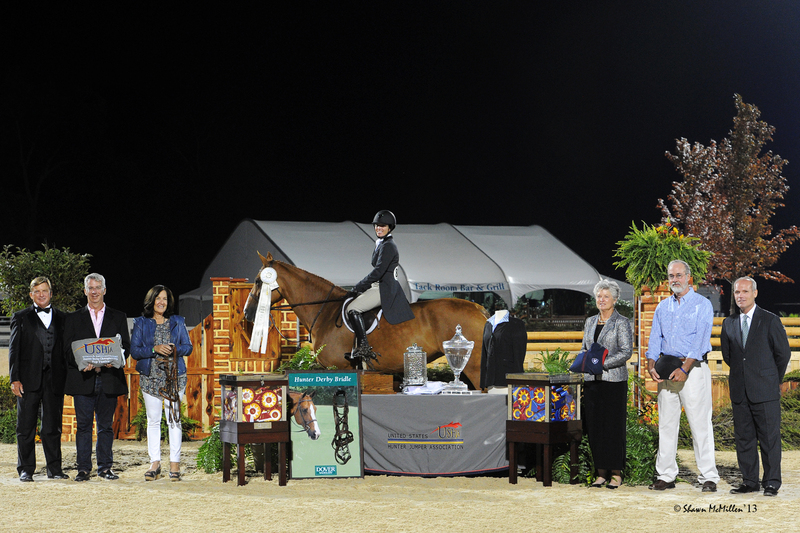 Murray competes at the national A and AA horse shows was awarded the USHJA Emerging Professional Award in 2011. Her expertise has helped many clients earn top ribbons on the circuit and her ability to select quality horses has paved the way. Murray’s training program, which emphasizes flatwork and basic dressage, has the horses ready to step into the ring and win. 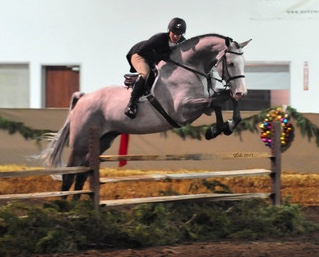 Customer Becky Price has a new horse, Editorial, for the Amateur Owner Hunter division and the derbies. Editorial is already winning blue ribbons in the High Performance division with Murray starting from the December Lake St. Louis show. He also earned a ribbon in the USHJA National Hunter Derby there. The 9-year-old, Holsteiner, gelding has an unbelievable, back cracking jump that is for sure to impress. The horse was purchased in Vancouver and hadn’t been shown in the states before Price got him. Lisa Quinn’s Gulfstream, her new 6-year-old Hanoverian, already earned a blue ribbon in the Pre-Green Hunters in St. Louis and Lisa is looking forward to an exciting show season with her new mount. Emily Smith welcomes her new junior jumper, Morning de Reve. The horse competed successfully in the 1.40m jumpers previously and Smith is anxious to get showing with her. Murray has a new ride as well, Jetson, a six-year-old Oldenburg gelding, who is competing in the 3'3 pre-green division and was 3rd in his first National Derby with an 87 in the handy round at the December St. Louis show. Murray loves how brave and scopey the horse is and believes he will make an amazing junior hunter and International Derby horse. He is for sale and will be showing at the Winter Equestrian Festival in February with the rest of the Buena Vista group. Sharie Maloney and 5-year-old Pacaro, have been a great team with Buena Vista earning top ribbons in the pre-greens and the Amateur Adults, but are sadly relocating to South Carolina. The whole staff and riders at Buena Vista wish them much success in their new journey and hope to see them at some of the shows. While at home in Wadsworth, riders enjoy the beautiful fully heated facility and huge indoor and outdoor arenas, including a grass riding field in Zion. The farm is located right off of Rte 41 and close to 294 at 41900 N. Delaney Road in Wadsworth. Other amenities include 12 x 12 matted stalls, all weather paddocks, pastures, a treadmill, a Euro hot walker, full service grooming and a luxurious clubroom. Murray and her assistant Colleen Holton, specialize in both hunters and jumpers and emphasize basics in their program. 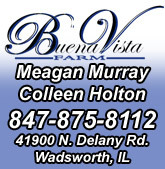 Buena Vista offers boarding, lessons, sale horses and showing. 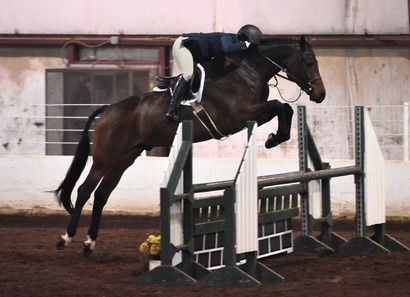 They plan to show at the Kentucky horse shows, Lamplight, Ledges and Traverse City this summer.